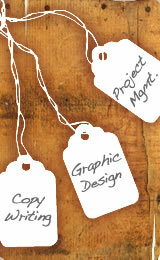 We will manage the entire production process of your print or online marketing project. Our mastery of all the essential ingredients – astute information gathering, crisp writing and sophisticated design – make for a polished presentation. When taking a creative piece to completion, we sweat the small stuff so you don't have to. Cezat Creative Resources will manage the entire production process — from writing and design to obtaining approvals and handling pre-press, printing and delivery. We subcontract high-quality vendors for printing and mailing services. You'll get competitive pricing, one-stop shopping, and a consolidated invoice — saving you the hassle of dealing with multiple vendors. The written word serves as the foundation of marketing campaigns and corporate communication initiatives. The content drives design. We'll also edit major documents (grants, proposals, speeches, etc. ), and update existing copy to complete a project. Profiles of executives, physicians, researchers and other leaders are a specialty. Our questions draw out new perspectives. These articles not only inform but also inspire. Illustrative layouts (through graphics, typography and photography) reinforce the written message. A well-executed image crystallizes ideas and concepts — making them memorable and effective. A creative blend of graphics and copy inspires action. Owner Liz Cezat has successfully launched and served as the editor of six publications (newsletters, magazine, events calendar) at different organizations. Producing annual reports is another specialty. Knowing the process leads to effective, timely and informative publications that resonate with readers. Many graphic design firms don’t have full-time writers, but often need a writer for websites, brochures, annual reports and newsletters. If you want a writer with exceptional writing and interviewing skills, someone who is responsive and responsible with your project, and makes client satisfaction a #1 goal, call or e-mail us today! We’ll provide a quote and a time frame to fit your needs.